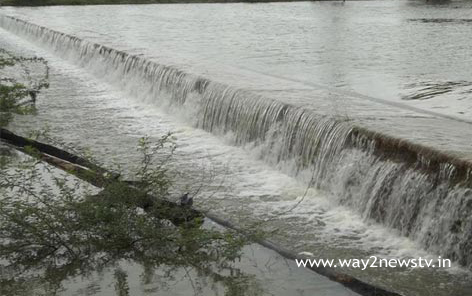 Telangana has providing a big platform for the conservation of water resources. including with the dug of ponds, It giving importance to construct water pits.The mission is implementing the Kakatiya scheme to renovate ponds and new dug.As a result of government initiatives, many ponds are being drilled into Bhadrachri new district. With the summer boom, the irrigation of some of the paddy fields in the area has dwindled due to the presence of water in these ponds. Just as Bhadradri is not only in the new gurudwara but also in many ponds in Khammam, water is growing in the farmers and locals. In the two districts, 1,913 ponds were selected. So far, 1,527 ponds have been upgraded to Rs 635.65 crore. The water logging in the ponds has resulted in the flow of water to nearby farms. It is reported that almost 1,76,534 acres of ponds have been harvested. The pond modernization and rehabilitation are underground waters. Water availability in bores and wells improved. Farmers are interested in laying paddy crops in several places with a slight decrease in water shortage. 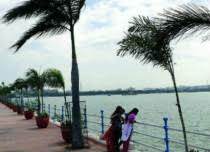 The officials sent proposals to dug 381 ponds in Khammam district as part of Mission Kakatiya fourth phase. Of the 381 proposals, 288 ponds have been approved. Of these, 6 tender proposals were canceled and Rs 6,681.21 lakh was sanctioned for works. 278 tanks have been implemented and the tasks are finalized. At present, over 260 ponds are underway. If the fourth phase is completed, majority of the district's ponds will be modernized. If this happens, it will grow more in the area of ​​ponds. With the modernization of existing ponds, the water storage capacity is increased and the availability of water in the nearest boron and wells is risen. If water resources are improved, the problems of cultivation and drinking water are also wrong. The locals are happy to see the excavation of tanks in the district as part of the conservation of water resources. It is said that more ponds will drain water in both districts.